Press Release For Sean Behnam, Los Angeles hair transplant doctor. Over the past year, Dr. Sean Behnam has been evaluating new methods to increase graft survival and earlier hair growth. 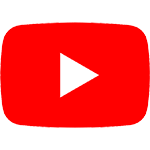 We would like to share with you what we have learned. Several people have asked us about cancellation day pricing. If you are interested please reply back to this email. There is a special discount provided to those willing to be on stand by. For the past year and a half, we have been evaluating the use of a sterile solution called lactated Ringers to spray grafts for a few days after Hairrestoration. We have learned that grafts look healthier and grow faster compared to those who do not spray of the lactated ringers. The solution keeps the grafts moist, clean and provides nutrients until the grafts take. It typically takes about 48 to 72 hours for the grafts to take. Lactated ringers has a valuable source of electrolytes. In the hospital setting it is used as an IV injection. In our case, its sprayed over the grafts over the next few days. It contains electrolytes such as sodium potassium that is important for grafts. Benefit from our experience. 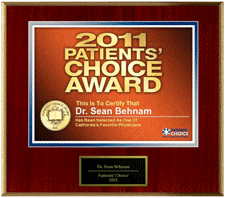 For more information you can call Dr. Sean Behnam at 310-315-4989. More than 2,000 grafts placed in one session. Results after one year. Over the past 15 months, we have been evaluating the role of adding protein to one’s diet after hair restoration. We know from experience that vegetarians have slow growth and sometimes poor graft survival. What we have learned is critical. We have seen some patients get almost full results by 4 to 5 months after the procedure. Although this is not a magic, this provides a very significant information about adequate nutrition after hair restoration. Not all protein supplements/shakes are the same. There’s a difference between protein concentrate and isolate. Protein Isolate tends to increase testosterone by products which may contribute to hair loss. Protein concentrate does the opposite. It can actually help hair grow, specially afterhair restoration. Typically, we have patients use protein concentrate for 5 months after a procedure. For more information about how protein concentrate can help hair please call us. I’ve been performing FUE hair transplant since 2008. A lot of changes have occurred over the past seven years and I have learned ways of streamlining the process. We have learned to use smaller punches to minimize each extraction site and have learned to do so with minimum transection (graft damage). Our continuous research has identified ways to maximize graft survival and minimize healing time.I am excited to share my most recent discovery. I have known and it has been proven that the use of Acell can promote faster healing of the donor area. 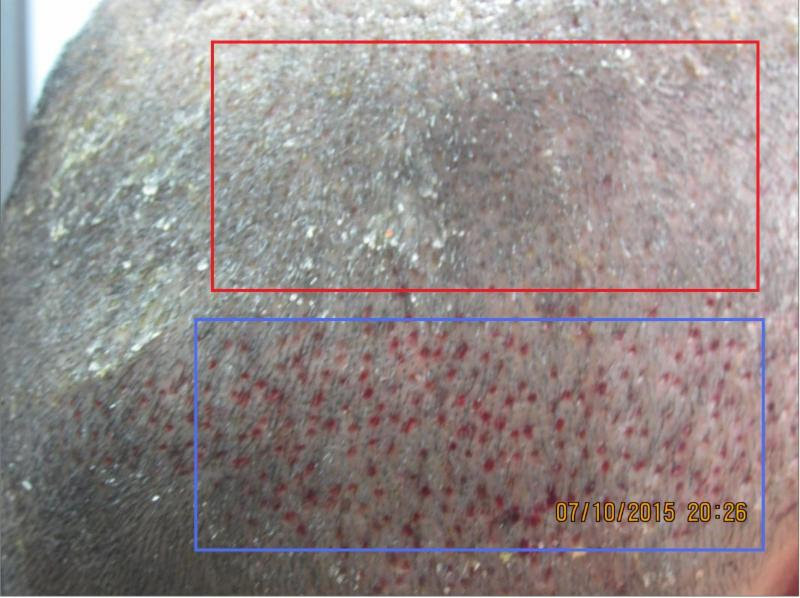 It has been demonstrated to decrease the size of the scar from the punch site, where grafts are extracted from.Over the past one year, I have been researching how to further accelerate the wound healing of the donor area in the back of the scalp. I have learned that this is accomplished with a non-absorbent pad applied over Acell. This pad continuously pushes the Acell into the wound. The back of the scalp is then wrapped. This detail has proven to accelerate healing and has become standard in our practice now. The following picture below is the back of the scalp, the donor area, where grafts were extracted from (If cant view picture, enable . The red zone was treated with Acell and then covered with a non-absorbent pad and then wrapped. The Blue zone only had Acell. The difference in wound healing is strikingly different. The back of the scalp donor area where grafts are removed. Red zone: Area treated Acell and covered with non-absorbent pad and wrapped. Blue Zone: Acell only without the absorbent pad. Benefit from our expertise and experience. For more information, you can call me at 310-866-6997. I am committed to continuing research to achieve the best possible results. 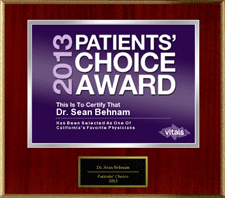 Among the select few physicians honored with the prestigious Patients’ Choice Award this year is Dr. Sean Behnam from Santa Monica California, a prominent Hair Transplant Specialist. In fact, of the nation’s 870,000 active physicians and dentists, just five percent consistently received top scores from their patients. Millions of patients go online each year to rate their doctors on various components of care, including accuracy of their diagnosis, the amount of time they spent with the doctor, and the doctor’s bedside manner and follow-up care. Patients’ Choice reviews these rankings and other quality measures to compile its yearly list of award winners. This award signifies the continued commitment and dedication of Dr. Sean to the field of Hair Transplant Surgery and Hair Restoration. Dr. Sean is a prominent Hair Transplant Specialist practicing in Santa Monica California for the past 10 years. Dr. Behnam believes since the mind, body image, and spirit are inextricably connected, emotional wellness is the single most important factor that can dramatically impact all areas of a patient’s life. “To be able to grant my patients with a better self-esteem through Hair Transplant is a God Given Gift that I do not take for granted”, says Dr. Behnam. 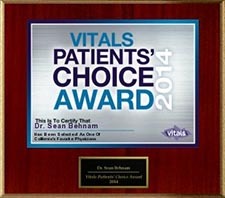 Not only a gifted Physician, Dr. Sean is also a deep person that cares about his patients. He realizes that making a change to the outer person can make an even more valuable change to the inner person. Dr. Sean does not take his aesthetic vision in people’s lives lightly and strives to achieve the perfect outcome for every single patient. Dr. Sean is Santa Monica’s prominent Hair Transplant Surgeon offering cutting edge Hair Restoration surgery. He is known nationally and internationally for his innovative surgical methods, excellent artistic vision, and his gift to put his aesthetic vision into reality. Dr. Sean is a fellow researcher, an innovator, a teacher, and an artistic leader. Over the past few years, he has modified significant steps in hair transplantation surgery for its aesthetic value. He has also made the process easier for patients. His intense effort in modifying hair transplant practice has led to less downtime, minimal to no swelling after the procedure, minimal scabbing, no bruising, and better patient experience overall. Dr. Sean’s patients who have had previous procedures elsewhere say that his care and attention to artistic details make the experience in his clinic a total joy. Dr. Sean’s patients describe it as relaxing, rejuvenating, and an artistic transformation. Dr. Sean uses the most advanced tools for each procedure; the highest powered microscopes for harvesting grafts; smallest custom made instruments for creating recipient sites. Dr. Sean is actively involved in researching new and better ways of hair transplantation. Over the past few years, he has developed ways to minimize swelling after hair transplants, minimize scabbing, minimize pain, and increase graft survival. Dr. Sean is an expert in the field of Follicular Unit Extraction or FUE. Follicular Unit Extraction or FUE procedure is an advanced hair transplant procedure where individual hair follicles or hair grafts are removed one at a time from back of the scalp and transplanted into the recipient areas. Dr. Sean has performed a lot of FUE procedures, and his experience and expertise are crucial in achieving great results. Dr. Sean uses the “Trichophytic Closure Method” which is a special way of closing scalp tissue which results in minimal scarring. He also uses double layer closure technique, with interior dissolvable sutures and outer staples. He also has every patient perform at least 2 weeks of scalp exercise, which increases scalp elasticity. All these combined reduce scarring significantly. Dr. Sean completed his training at the top US medical schools and residency programs followed by an intense training in hair restoration at the Distefano Hair Restoration Centers. Dr. Sean Behnam attended Medical School at the Oregon Health Sciences University, University of California, San Francisco (UCSF-Fresno) for Residency, and concluded his Hair Transplant Training Fellowship in Distefano Hair Restoration Centers. Many patients come to Santa Monica for Dr. Sean’s artistic hair transplant procedure from all over the world. Dr. Sean has earned their trust by his impeccable reputation in the field of Hair Transplantation surgery, and by having performed successful surgeries for them in the past. Located in beautiful Santa Monica, Dr. Sean and his staff pride themselves on discretion and follow-up care. Their goal is to offer their patients the high-quality experience that the Santa Monica community has come to enjoy. Following the publication of Sean Behnam’s selection for the Patient’s Choice Award, American Registry seconded the honor and added Dr. Sean to The Registry™ of Business Excellence. An exclusive recognition plaque has been designed to commemorate the honor. 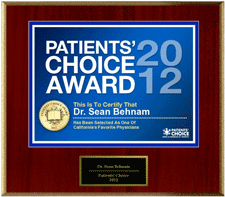 For more information on Dr. Sean Behnam, located in Santa Monica, CA, please call 310-315-4989. 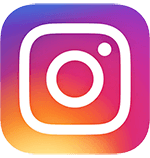 Please visit our website at Santa Monica Hair Transplant and Hair Restoration for all offered services.